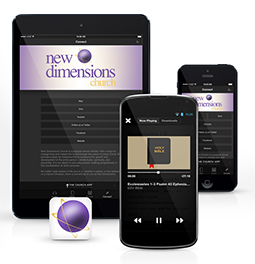 New Dimensions Church was founded by Bishop Dexter Edmund and his wife, First Lady Yolanda. Bishop Dexter Edmund served as the Lead Pastor for Abundant Life Community Church/ New Dimensions Church for over 20 years. A graduate of Morgan State University, he continues to perfect and sharpen his leadership gifts through reading and directed study in the Word with assistance from a number of spiritual fathers, mothers and mentors. In December 2011 Bishop Edmund completed a Masters degree from Southeastern University in Lakeland, Florida. Bishop Edmund has traveled extensively as a Kingdom Ambassador sharing the good news of deliverance, restoration and forgiveness to many who have been blessed by his kind, thoughtful and encouraging style of ministry. His universal affection for the people of God everywhere and in every place that is at the heart of Bishop Edmund’s ministry, and is always evident when he teaches. 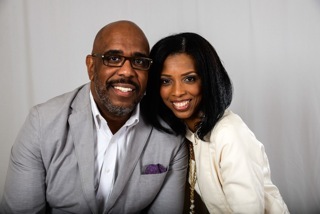 Beyond the pulpit, Bishop Edmund is married to the beautiful Yolanda Genelle, and the blessed father of three amazing children, DeJay, Daniel, and DeAnn Marissa. Yolanda is the eldest of three children born to Rev. Harrison and Edith Penn. Yolanda loves God, and appreciates the friendship she has with Jesus Christ. She enjoys talking, and He is there to listen every time that she does. Yolanda is a native of the Washington, DC metropolitan area. She completed her undergraduate studies in Business Administration- Management in 1995 at Howard University; and received her Master’s Degree in Adult Education and Training in May 2014 from University of Phoenix. Yolanda is married to Dexter Edmund, Sr. Together they have three adult children, Dexter, Jr., Daniel and De Ann Marissa, each one teaching her something about herself. Yolanda has lived in the United States and England with her family; and has traveled to other countries in Europe and Caribbean. Yolanda and her husband, Dexter, have been in ministry for over 20 years. They planted a ministry in 1996, Abundant Life Community Church; now named New Dimensions Church, in Lanham, Maryland. “Ministry… is what we do”, she says. And, Yolanda’s theme, “YOU… can make it”.